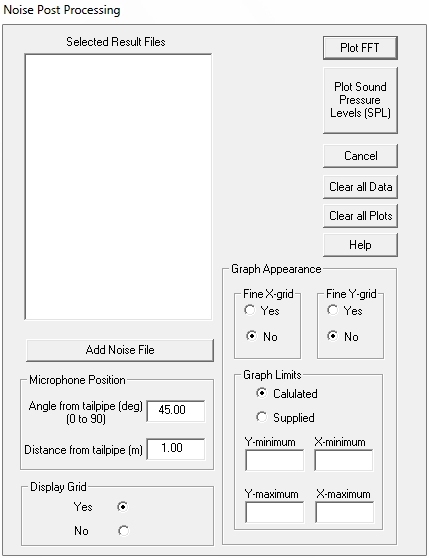 Plot Sound Pressure Level (SPL) - this calculates and displays the Sound Pressure Levels (SPL) of the selected noise signals and it also calculates the dB and dBA values for the total noise signal. The position and distance of the microphone relative to the tailpipe can be specified. 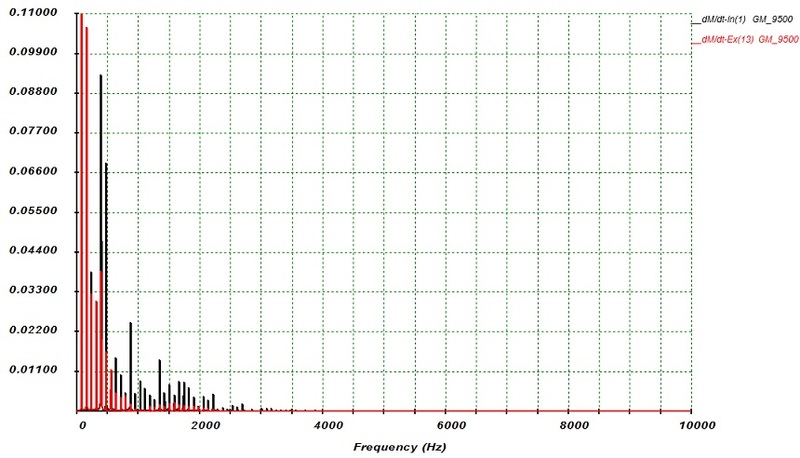 This graph shows the sound pressure level at each frequency as generated by the intake and exhaust system. This is for a Speedway engine fitted with the FIM approved silencer. 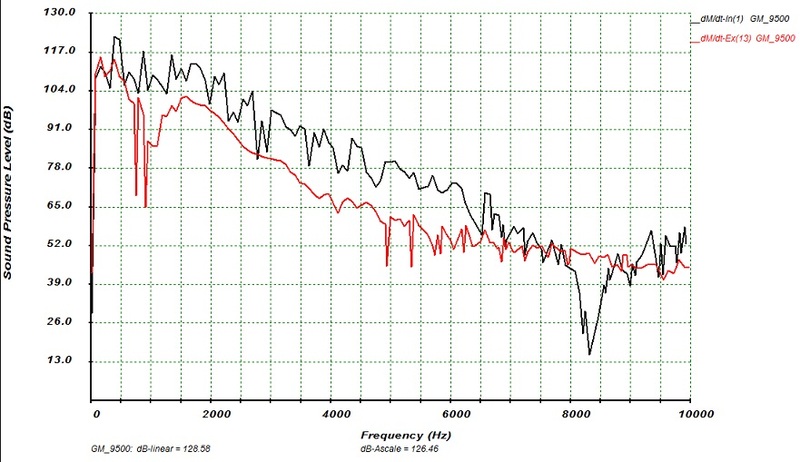 The interesting thing is the noise comes primarily from the intake (The black graph is much higher than the red one for most of the range).